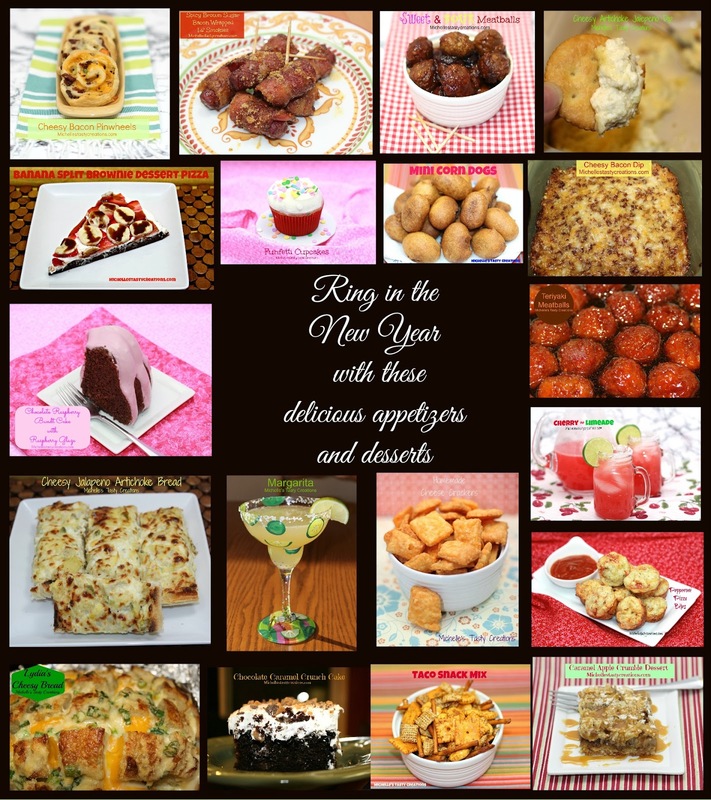 Ring in the New Year with this delicious Appetizer and Dessert Round-up. There is something for everyone on your party list. Wishing you a New Year's Eve filled with great food, friends, family, and memories. May you be safe in your travels for today and tomorrow as you ring in the New Year with loved ones and friends. 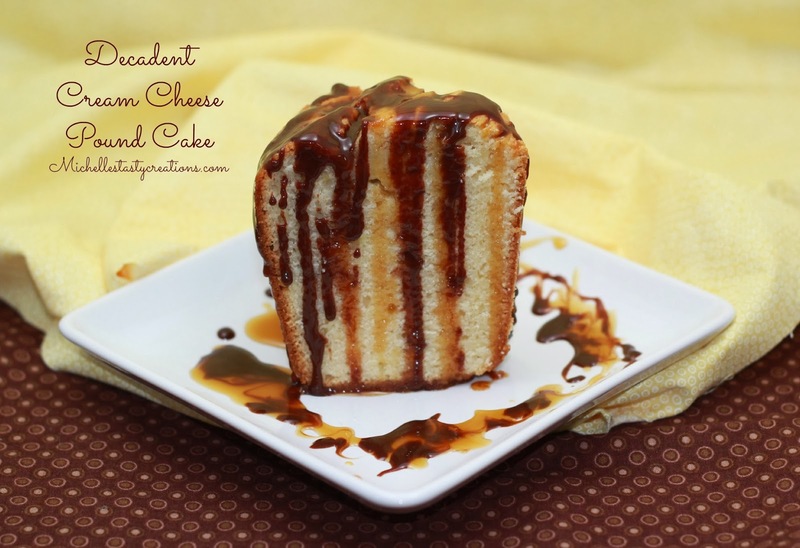 Oh my gosh you guys, I have found the most amazing Cream Cheese Pound Cake recipe! I have been looking for a pound cake recipe for a long time and I really just wanted a plain vanilla one. I have many recipes for flavored bundt type cakes but had a really hard time finding a vanilla one. I was at my Auntie's a few weeks ago and she had made a delicious Pumpkin Bundt from Joy of Baking website and told me to check it out. So I did and the recipes I found....Oh my, I can't wait to try them all. 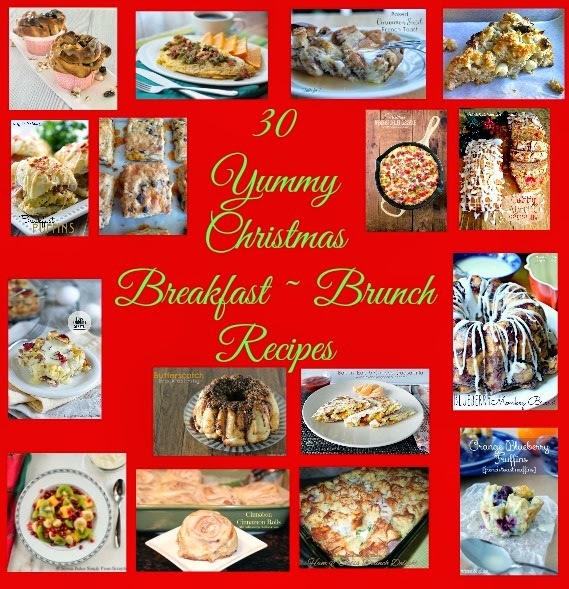 Here are some wonderful ideas for Christmas morning breakfast or brunch. You could even serve these the day after Christmas for company that's still in town. Enjoy! 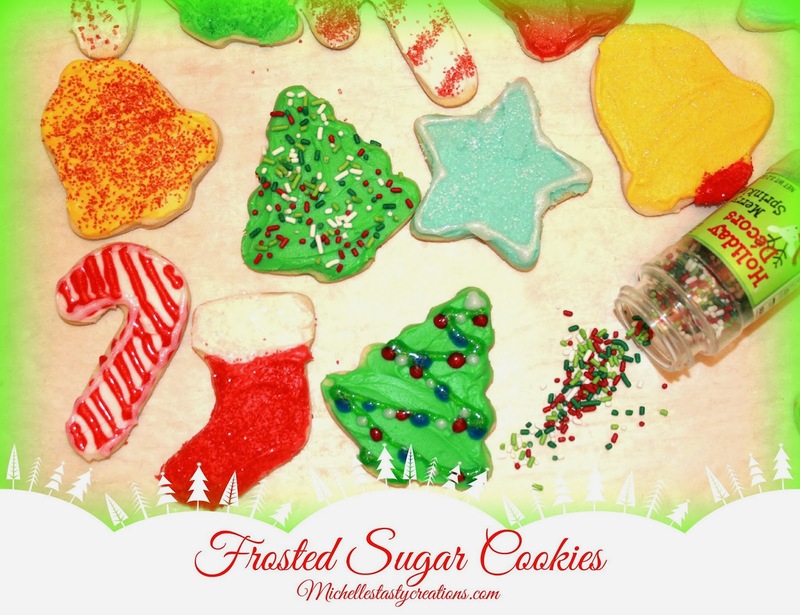 Everyone needs a great go to sugar cookie recipe, so I'm sharing this one with you. 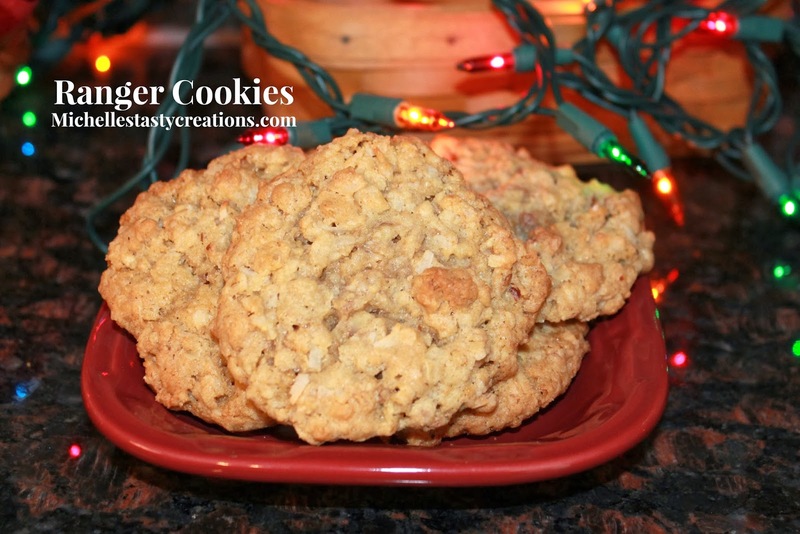 I've been making these cookies for years; they're my go-to cut out cookies for all the holidays. This is the perfect sugar cookie recipe because it doesn't puff up at all, which is crucial in a cutout cookie. 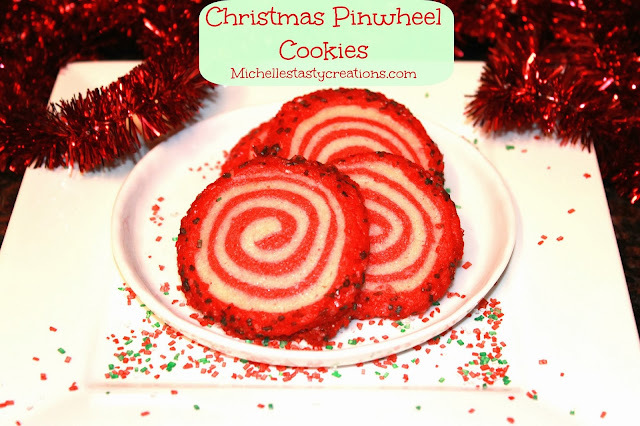 Last week on Facebook I found this recipe for the cutest pinwheel cookies from Walking on Sunshine and knew I had to try them. These are a very easy cookie to make and you can use any color food coloring gel you want to make them festive for any occasion. 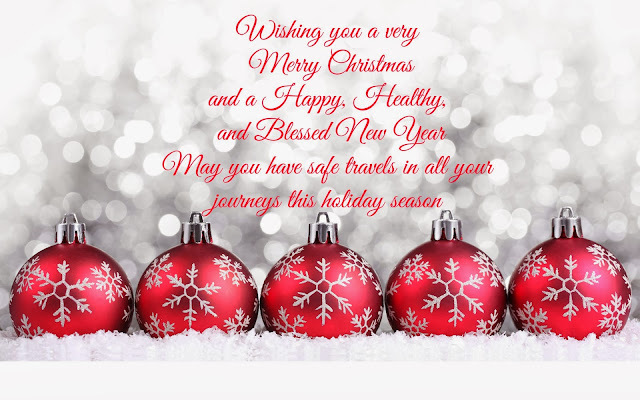 I chose to make mine red and white for Christmas; the original ones were green and white which were also pretty. I love heirloom recipes that are handed down from generation to generation. This is a cookie recipe that I got from my mom that came from her grandma (my Great Grandmother) who I can remember going and visiting when I was really, really young. I'm talking 3 or 4 maybe 5. My Great Grandmother Martin lived in Fresno on a farm when my mom was growing up and she used to go with her sister during the summer months to visit. Mom says she was a great cook and has several of her recipes. This is one of my favorites. I only remember her in her late years living across the street from my Grandmother in a convalescent home and visiting her. She was the tiniest little lady I've ever seen and always had a smile for us. 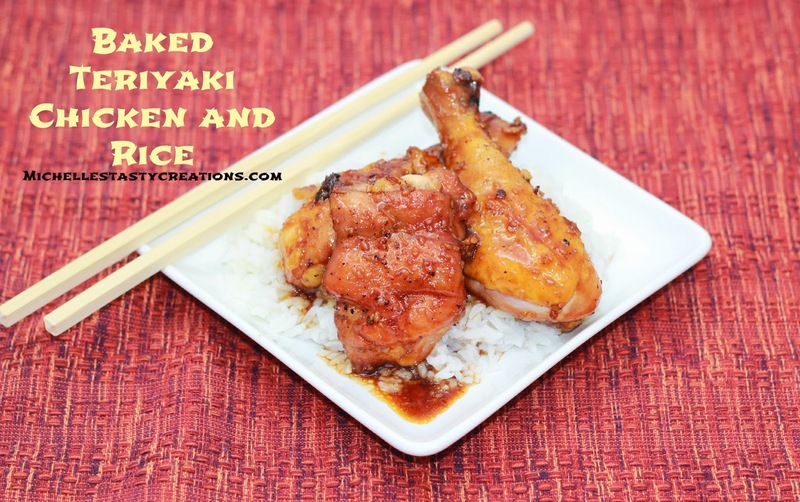 I love teriyaki chicken and I have a great Teriyaki Chicken Kabobs recipe but the weather isn't always friendly enough to brave the outdoors in the Fall and Winter for grilling. So the solution was to come up with a baked version and boy was this one a hit! The whole family, and friends who were here, loved this meal. Not only was this dish amazing to eat it was really simple to make. 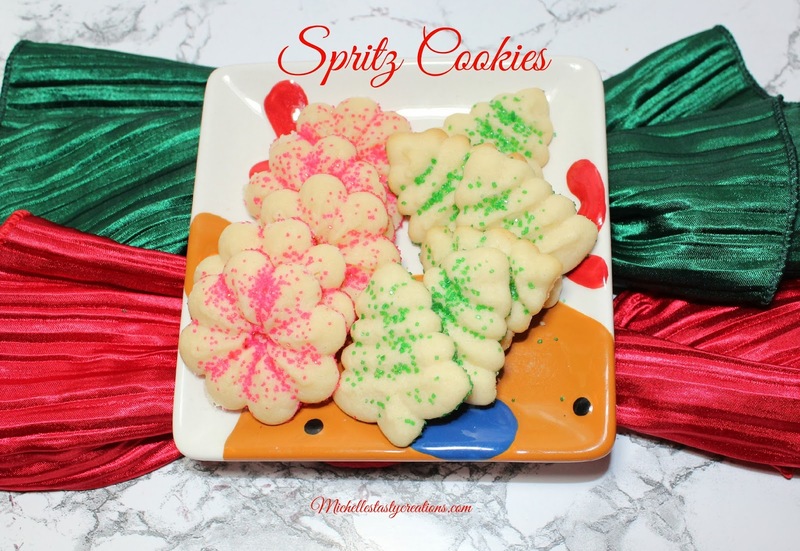 Classic Spritz Cookies are the quintessential Christmas cookie to me. I remember the old copper cookie press with a twist handle our grandmothers used and then the newer silver/metal ones with the gun like grip and squeeze handle our mothers used. All the way to the newest kind today which is most likely made of plastic. These cookie presses come with several different shapes to use and the best Spritz cookie recipe is right on the box. These are my new all time favorite cookies and I got the idea from my friend Veronica over at MorningNooNight who posted some delicious looking Snickersnaps on my Facebook page a few weeks ago. I'm always looking for new and inventive ways to make cookies so I knew I had to try this type of cookie. 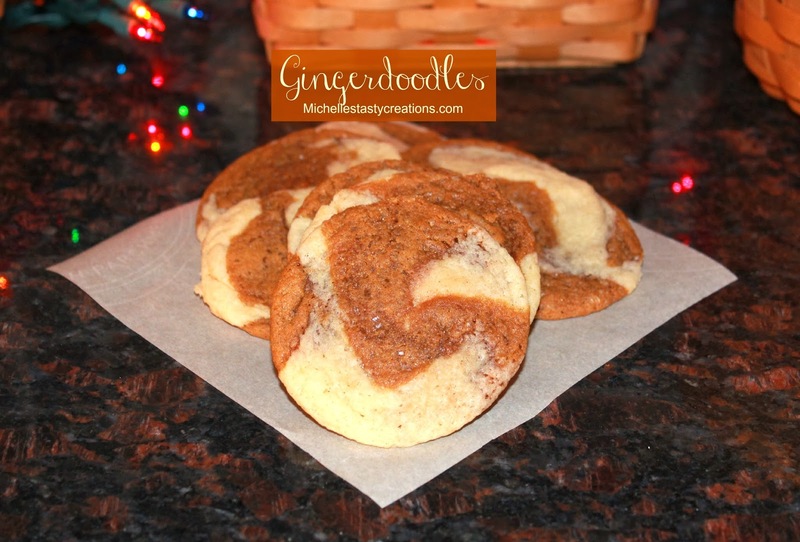 I already had a great Ginger (Molasses Crinkles) Cookie and Snickerdoodle recipe so I used mine and renamed the cookie Gingerdoodles! 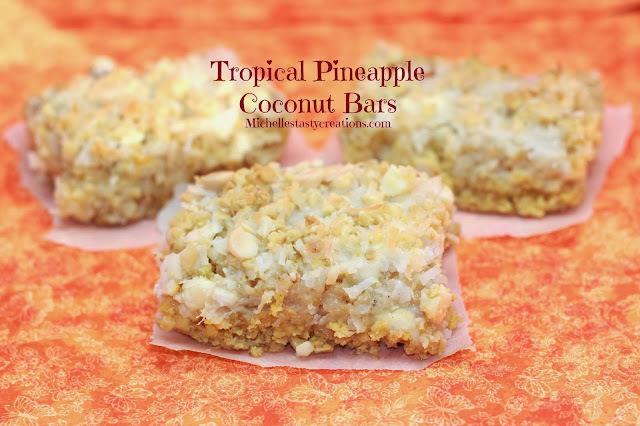 Do you like all things tropical? I sure do, especially the whole pineapple coconut combination. It might very well be my favorite combination so far! Today's recipe is one I have been making for probably more than 10 years. These bars are one my Mother-in-law found in some cookbook in my kitchen years ago and made them because as she always says "I grew up having dessert after every meal", lol, and she does love her baked goods. I will apologize in advance to the cookbook [owner] they were found in because I can't really remember who's they are, lol. I collected those Pillsbury ones they keep by the check stand in the grocery store for YEARS so that's most likely where this recipe came from. I love comfort food. Especially in the Fall and Winter. I break out my Dutch ovens and my Crock Pot and go to town on cooking scrumptious meals. This is a dinner my mom always cooked when we were growing up and I haven't made it in years. 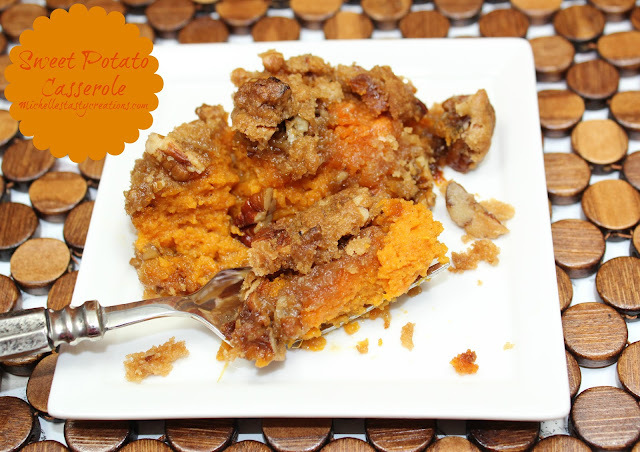 I was in the mood for something slow cooked which mashed potatoes and gravy the other night so I remembered this recipe and oh my was it delicious! 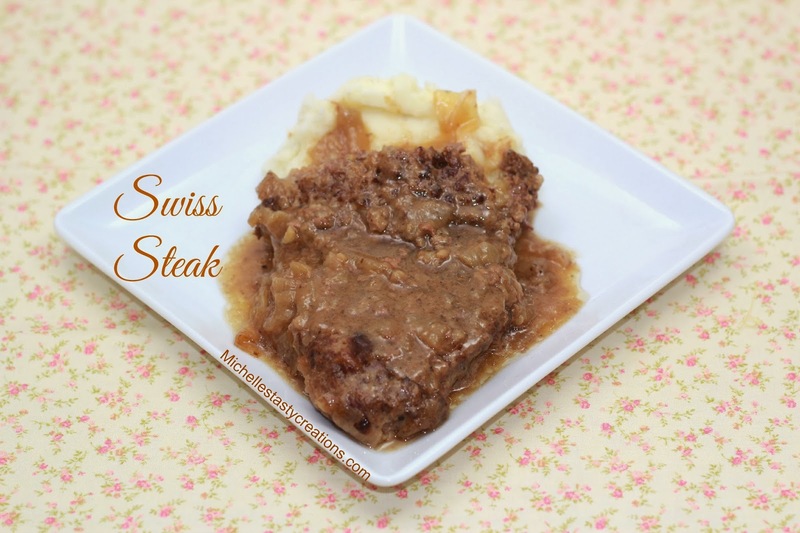 Does Swiss Steak take you back to when you were growing up? What do you remember your mom cooking as a comfort food that you'd like to see again? 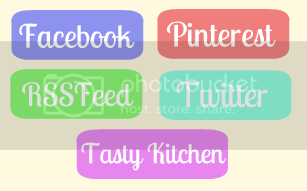 Let me know; I'd love to try and re-create some of the dishes. 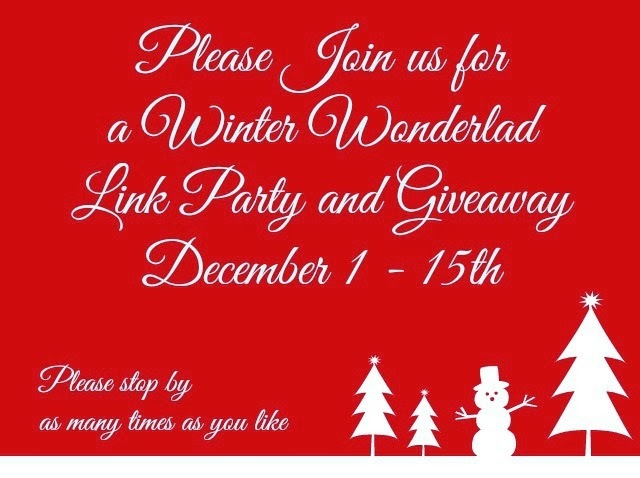 Well It's time again for another wonderful link party and this time we're including a give away too!